Girl's Basketball is getting ready to start their season with their seniors this year. Runout, warmups, captains, anthem, starters, go time. The girls basketball team had their first basketball game at home on Tuesday against Medford. Mind it was their first game of the season; they ended up losing when they ran out of steam after a long battle, but they plan to only get better from there. The game was bittersweet for seniors Lola Munson and Morgan Roeber. It was their last first game with the girls basketball program. Even though it is going to be tough as the season moves closer towards the end, they always have smiles on their faces and bring so much positivity everyday at practice and games. They each have their own ways of adding a little bit of fun to the program. Lola joined the basketball team last year after never having played before. She is improving everyday and is one of the hardest working girls on the team. Her personal goal is to get better everyday since this is only her second year playing and she is extremely excited to play out her final season with her teammates. Lola says even though the team is smaller than most, they are fast which will give them an advantage. The team is made up mostly of younger girls which has allowed both Lola and Morgan to have a seperate sisterhood other than their everyday friends. 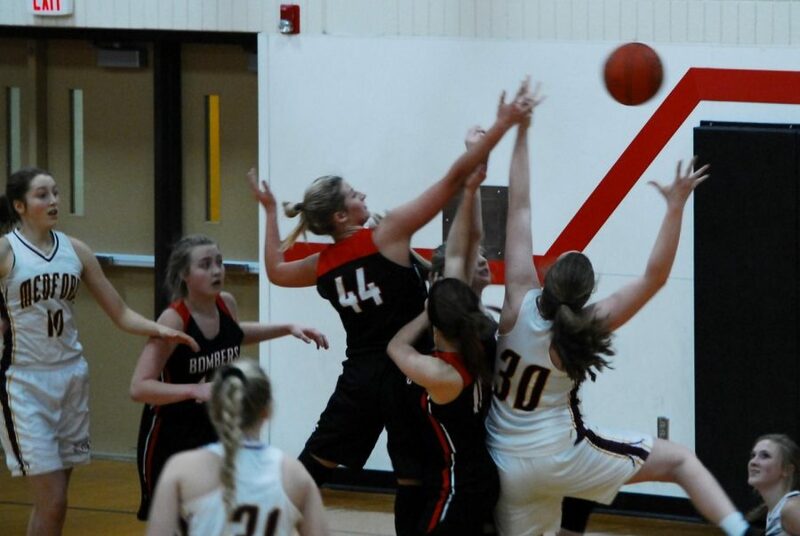 Roeber echoed Munson’s thoughts, saying, “Even though we aren’t the biggest team, we are fast and we can use that to our advantage.” Morgan had played for the girls basketball team before taking a couple years off from the sport. She came back out when she was a sophomore and has since made her mark on the team. Roeber is always laughing about something and brings so much light to the program. She enjoys playing with the girls because everyone is so supportive and they all have a blast together. Even though it will be hard for Lola and Morgan when the season comes to an end, they are trying to make the best of it now and finish their final season strong.